"Stay like a resident in an old downtown district of Tokyo"
An ideal home base for enjoying everyday local life in Tokyo. Sheena & Ippei occupies a renovated 45-year-old building that was once a tonkatsu restaurant. Our small hotel lets visitors stay in an old downtown district and get a taste of the local shopping street. 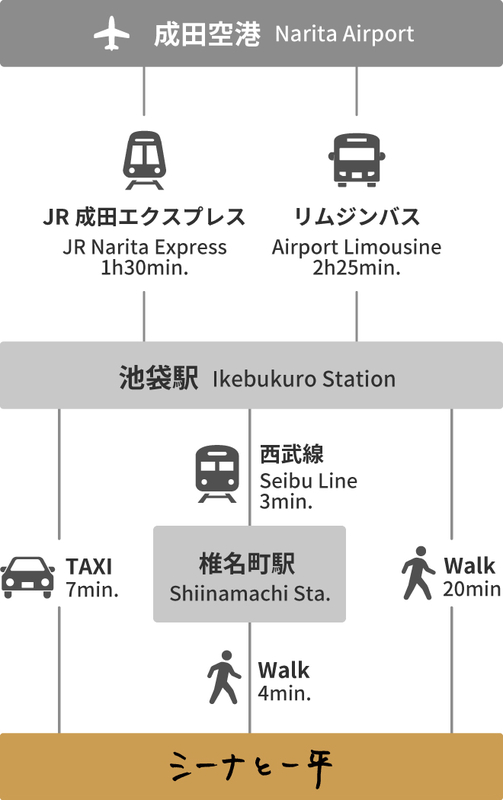 Just one stop away from the mega-station of Ikebukuro, Sheena & Ippei is an ideal home base for enjoying everyday local life in Tokyo. The sewing machine café on the first floor “brings together countries through fabric, and the community through sewing machines." The universal language of fabric and the familiarity of making things by hand spawns interactions across nationalities and generations. The hotel includes four private Japanese-style rooms where guests sleep in futon on tatami mats, and one three-bed dormitory room. Each room is named after a traditional Japanese color that inspires the fabric decorations accenting the lovingly maintained interiors. The first-floor café space also functions as the hotel's lounge,where guests can mingle with other foreigners, Japanese guests, and local residents. The café hosts events during the day, and serves small Japanese dishes and sake on weekend nights. We encourage our guests to act like local residents and think of the whole town as their hotel. The rooms are as simple as possible, with shared shower and sink facilities. 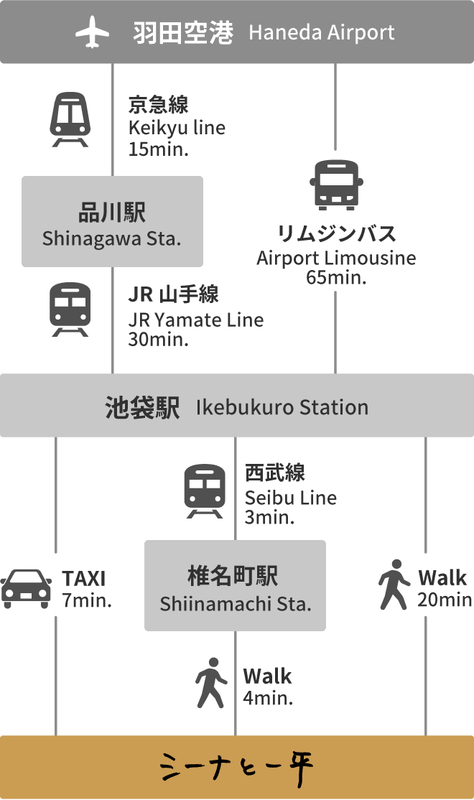 We hope that you will get a sense of local Tokyo life by enjoying the town,eating at local restaurants, and refreshing at the local bathhouse. 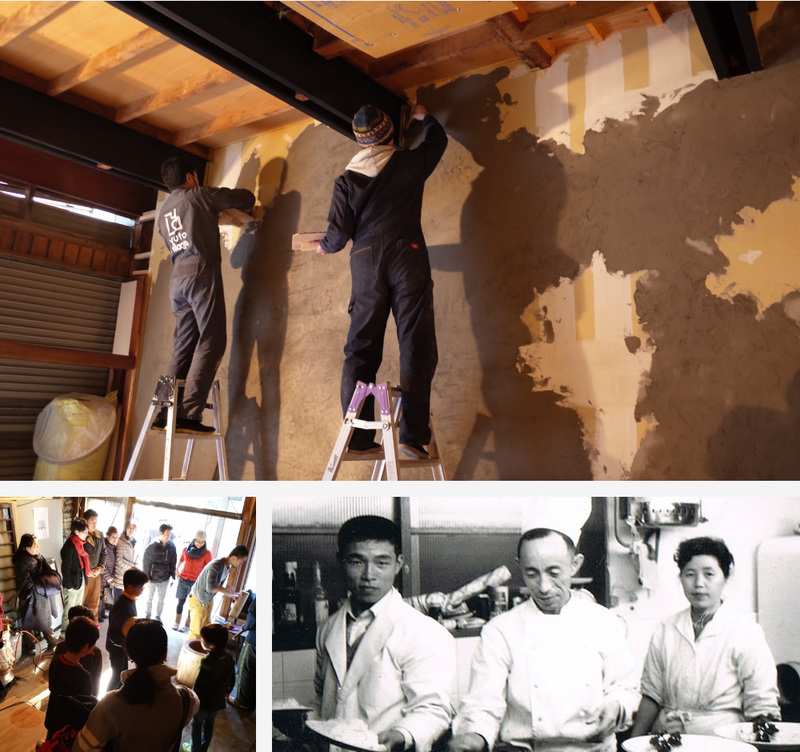 “A vacant shop, renovated by local residents"
The "Tonkatsu Ippei" restaurant, widely loved by local residents of all ages,closed around twenty years ago when the owner passed away. We wanted to respect the memory of that owner,to re-create a place where different generations and types of people can interact and enjoy the town together. 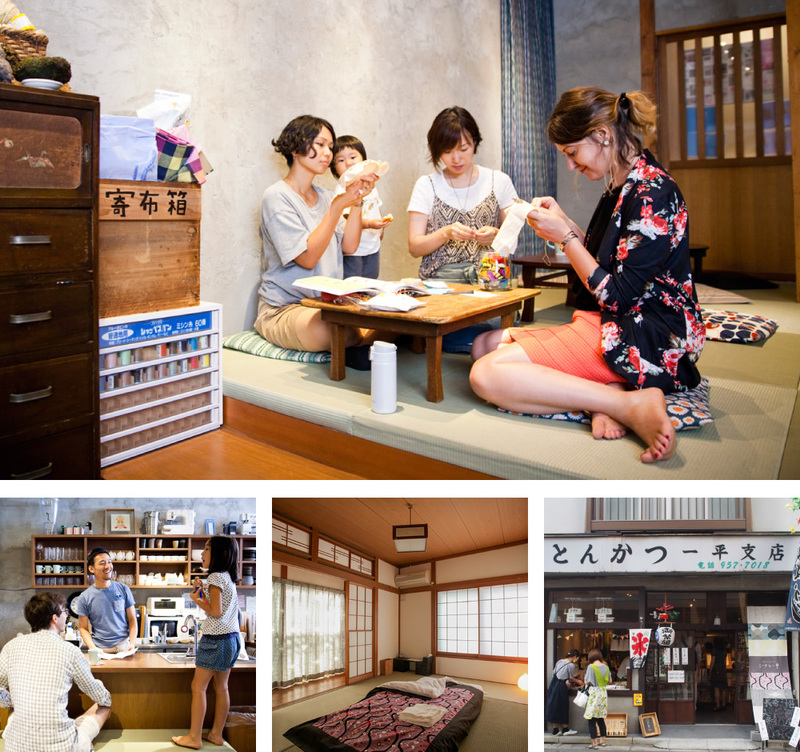 The “town stay” concept lets our guests truly experience the appeal of Shiinamachi. The whole shopping street and surrounding town is your hotel,and we introduce our favorite everyday restaurants and bathhouses. Many local residents helped to create the hotel,and we wanted them to feel at home in the space. The old sign for "Tonkatsu Ippei" remains as a symbol of the hotel,and locals still fondly recall, “This place had the best tonkatsu!"